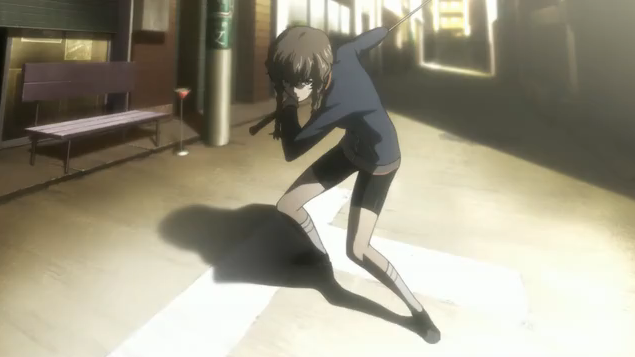 This post covers my “first impressions” of Steins;Gate, based upon episodes 1-5. 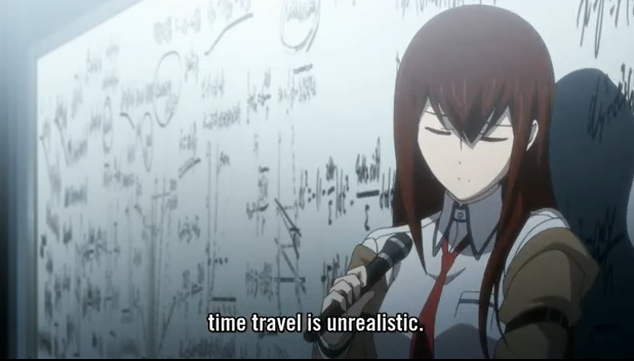 Without question, Steins;Gate is my favorite anime of Spring 2011 that I have not written about yet. While it still has plenty of time to implode, I am happy to report that the first 5 episodes have built up a very intriguing mystery, populated by some interesting characters. This is a spoiler-free review (something I need to say, to keep the organization off my trail). No, that's not suspicious at all. Perhaps the most compelling thing about Steins;Gate is the intensely paranoid atmosphere it generates. Watching the show, I frequently find myself suspicious of the motives of the various characters met, even if they seem to be friendly and harmless. This in turn leads me to doubt myself and my intuitions. 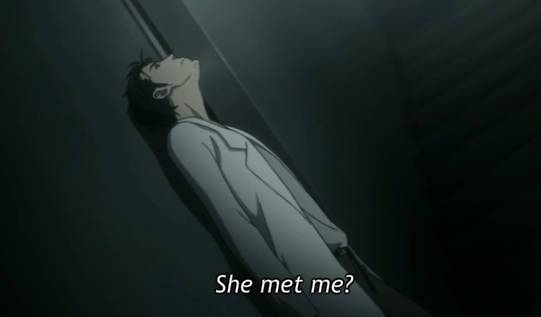 This paranoid atmosphere is intensified by our viewpoint character, Hououin (AKA Okabe). Hououin Kyouma is a mad scientist, if only in his mind. He also has some unusual friends, and runs a research lab, in which he invents future technologies. A special interest of his is time travel. One day strange events make the mad scientist question his own sanity, and, thus, the story begins. Christina (looking pretty fly for a dead girl). Take a conspiracy-tinged time travel premise, mix in some eccentric characters, and you have my attention. What else is there to say? I like the artwork; it is distinctive because the producers have gone with a very muted color palette. Somehow that adds to the disturbing atmosphere. I once met a man, named Isaiah X. Frauk, who told me, “they are controlling the colors.” Twenty minutes later, I still couldn’t tell who “they” were, but it was evident that Mr. Frauk knew more than I did about the physics of optics. Hououin Kyouma would have enjoyed speaking with Mr. Frauk, and I’m sure Mr. Frauk would have had some interesting comments about the use of muted colors in Steins;Gate, if only the organization hadn’t gotten to him first. Well that was a pretty small amount of first impressions. Yeah, but I would rather people watch the shows for themselves. I once read that there were people who study Sufis, and people who are Sufis. Meaning you can read about it as much as you want, but that won’t give you the knowledge that you get by first-hand experience. Anime should be experienced by watching it; the point of my review is just to suggest to people that they should be doing so. Re: part-time warrior. I don’t know why Okarin isn’t more suspicious of her. Something is definitely going on. I certainly wouldn’t be telling her about my secret computer.